Government College Women University Sialkot (GCWUS) admissions 2018 are open in spring and fall semesters. Candidates willing to get admission in BCS, MCS, BA, MA, and MPhil programs are required to submit their application forms with the prescribed fee before the last date. 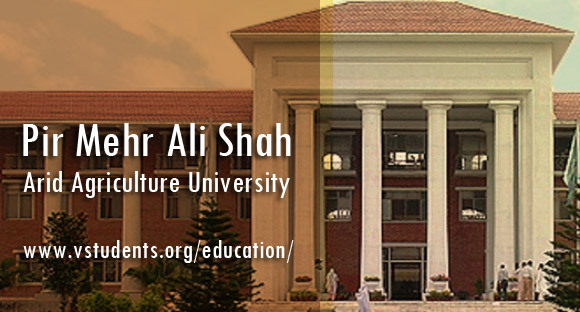 GCWU Sialkot conceived as the best educational institution of the area, which is being recognized by the Higher Education Commission (HEC). 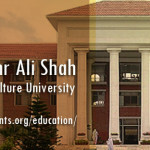 It emerged as indicating the significant role of female Undergraduate and Postgraduate (UG & PG) College in Sialkot. Find fee structure 2018, application procedure, eligibility criteria and more here. This school of modern learning provides you the latest educational material which will deliver by highly professional and capable team of teachers in GC University. 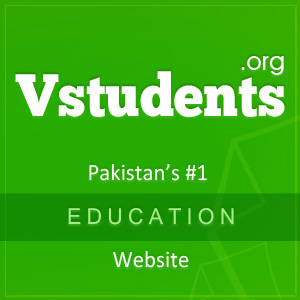 The organization is having a well-equipped computer and engineering laboratories, a digital library with thousands of books on worldwide affairs and furnished lecture rooms for the students. The GC University for women has recently announced the admission last date in various departments of the University. 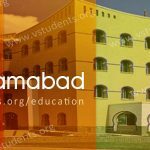 Such as BCS, MCS, BA, MA, and MPhil programs for which the complete details are available now that you can check below with entire admission information along with the last date, admission procedure, GCWUS University jobs 2018, GC University fee structure, entry test date, Merit list, scholarships and other related officials updates. 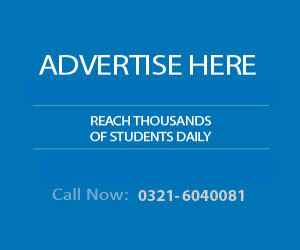 You will also interested to read about GCU Lahore Admission details and procedure. Last Date of Form Submission for Fall Admission is July 16 2018. 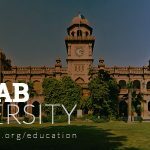 You can also check out Fast University Islamabad , UOL Lahore and AIOU Admission details for admission in your respective disciplines. Here is our latest fee structure for the year 2018. 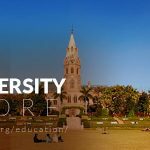 Find complete admission fee guideline below including admission charges, registration fee, library security, and university card fee etc for BS, M.A, M.Sc programs. For more information about fee structure, click HERE. 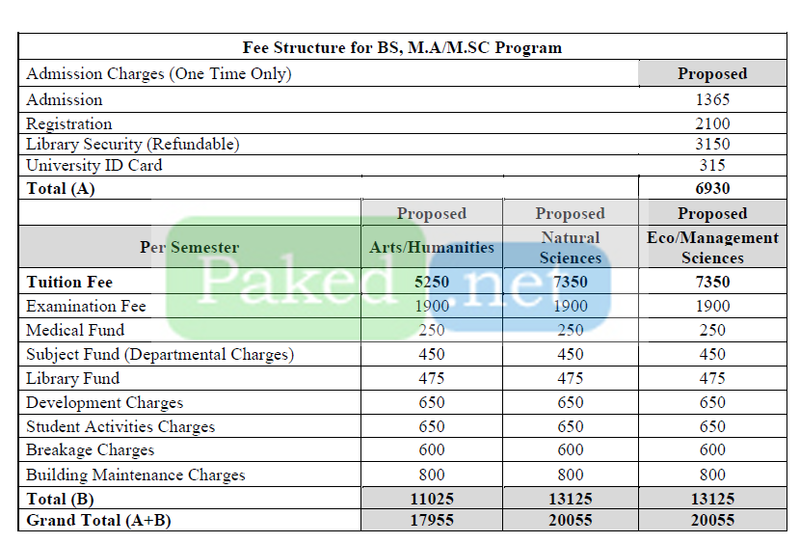 Also check GC Faisalabad Fee Structure here. 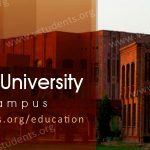 Find below all the latest news regarding GC University Sialkot admission, its eligibility criteria, last date of form submission and programs offered below. The institute offers you to get enrolled in some of the programs like BS English, BS Urdu, Chemistry, Zoology, Economics, BBA, BS Computer Science, and Psychology. 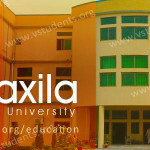 The candidates can choose their relevant subject for taking admission in this leading and valuable institute of Sialkot. The candidates who have passed their bachelor degree and seeking a reputable educational organization registered by Higher Education Commission, they have an outstanding opportunity to become a part of the GC University and secure your career. Here you can take admission in Master programs such as International Relations (IR), Mathematics, MA English, MA Urdu and Islamic Studies. All the candidates; who had cleared their degree with minimum 45% marks from any recognized educational institute by HEC. The institute will hold entry test exam for those candidates who are taking admission in MPhil programs and GC University date sheet 2018 will be announced via the official website. You can take admission forms from the campus office by submitting a specific amount and also can download the admission forms free online through official website of GC University. 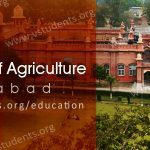 The reputable terrace of education GCWU Sialkot requires the professional educational personals for fulfilling its various seats on academic and administrative posts. 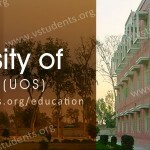 Here we are providing you the entire details of Jobs or vacancies that are available in the University of Sialkot Government College. 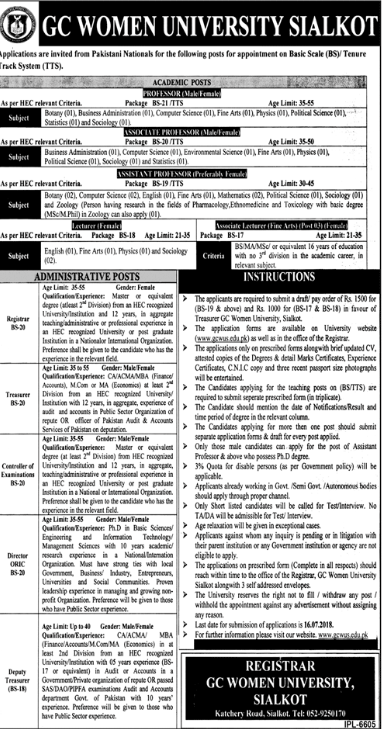 The institute needs non-teaching staff as Registrar, Controller of Examination, Treasurer & office assistant and for the jobs of teaching faculty, the career opportunities for lectureship, assistant professor, associate, and professor are opened in Government College Woman University of Sialkot 2018. The application forms are available in registrar office and may also be downloaded the free jobs application forms from the official site of GCWUS. Application completed in all respects including copies of the degrees & detail marks certificates, experience certificates, CV, Domicile, attested photographs and a copy of NIC. The applicants are also required to submit (DD) Demand Draft pay order of 1200/- rupees in favor of Treasurer, Government College Woman University Sialkot. The incomplete application forms are liable to be rejected. You can find more information about the updated jobs in GCWUS from Here at the official website. Sir. what is gc university sialkot last admission date? plz tell me detail about gc university. Nice, great achievement by gcwu in sialkot. It brings inspirations in skt.